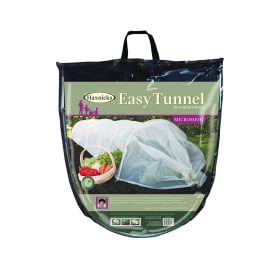 The Easy Poly Tunnel is easy to use, easy to move and easy to store. 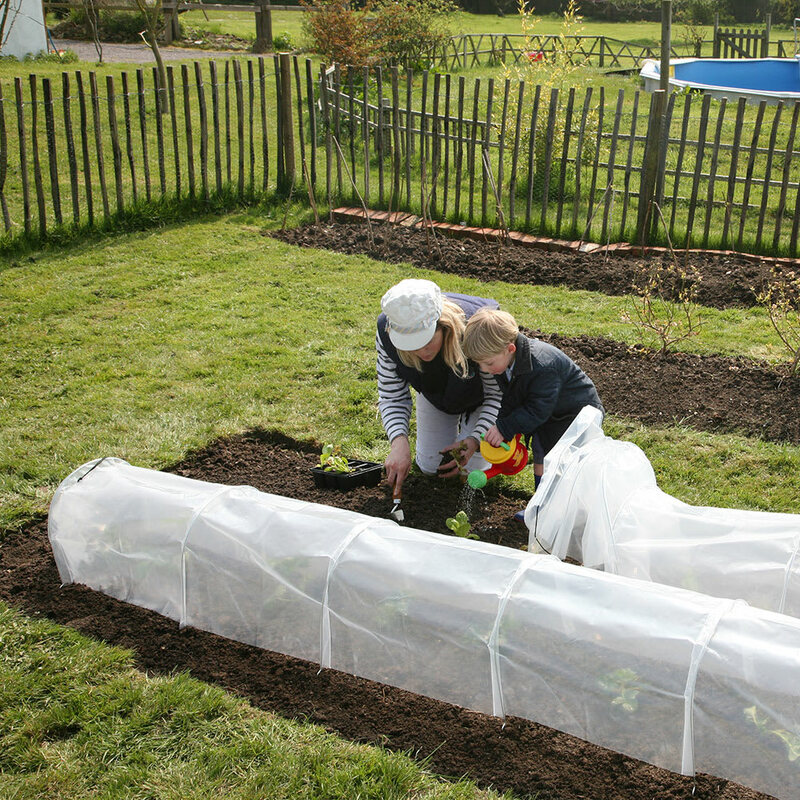 Using an Easy Poly Tunnel will protect crops against harsh weather and pests. 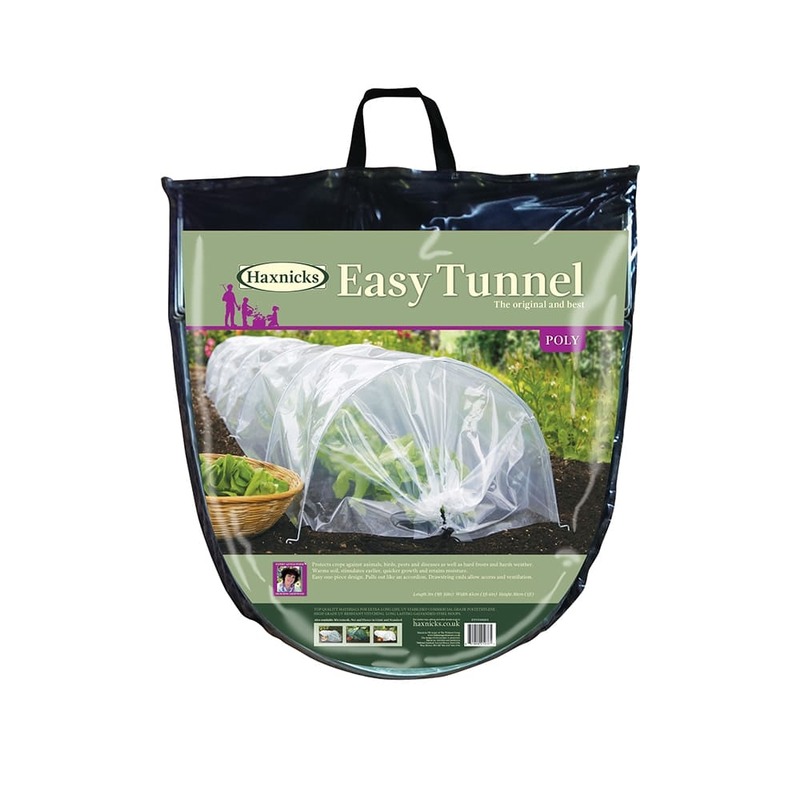 It can also be used to warm the soil prior to sowing or planting. Length 3m (10ft) Height 30cm (1ft) Width 45cm (1ft6") . 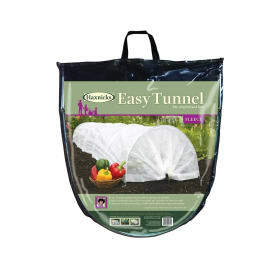 The Easy Poly Tunnel is easy to use, easy to move and easy to store. 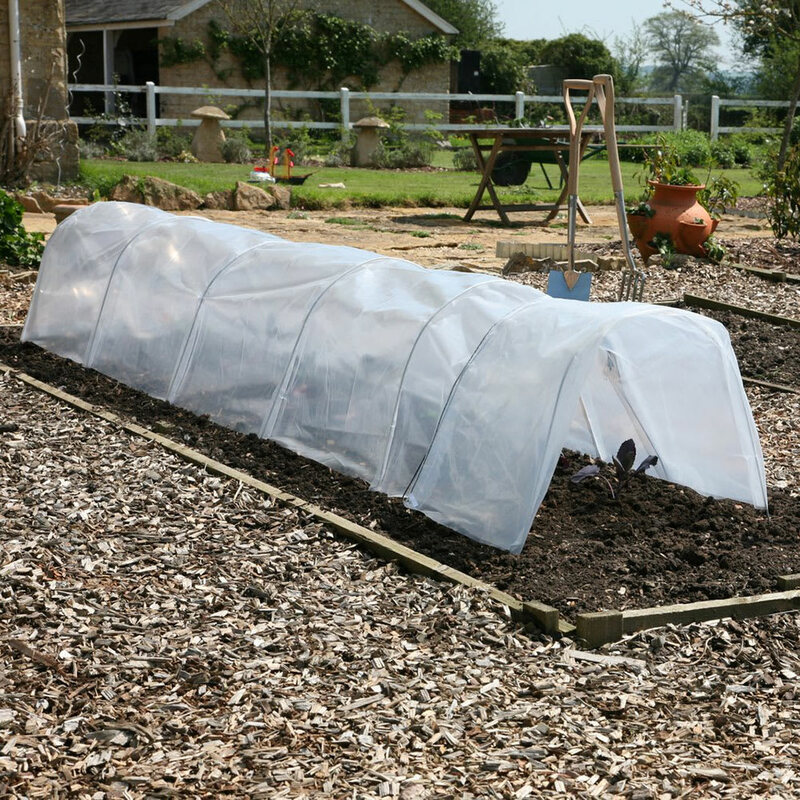 Using an Easy Poly Tunnel will protect crops against harsh weather and pests. 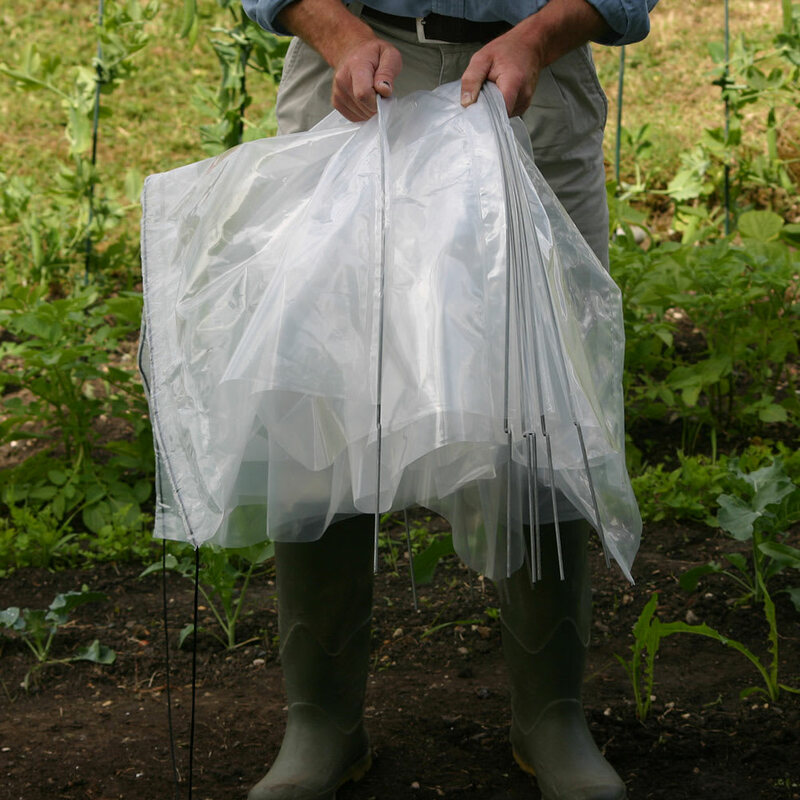 It can also be used to warm the soil prior to sowing or planting. Acting like a greenhouse, extending the growing seasons, it will form a complete barrier and recycle moisture through condensation creating the ideal humidity for healthy plant growth. 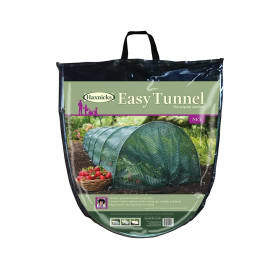 Our Easy Tunnels are made to last! Manufactured from tough UV stabilised 150 micron heavy duty polyethylene and rust resistant galvanised steel hoops. Available in standard and giant sizes. 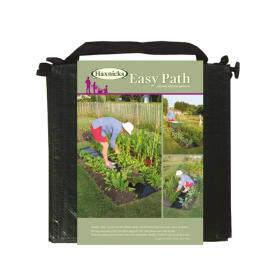 Helpful Haxnicks hint: ideal for winter and early spring vegetables: artichoke, beetroot, broccoli, cabbage, carrot, cauliflower, kale, lettuce, melon, onion, parsnip and peas.